If Toby Greene hasn’t learnt his lesson by now, next time there should be no half-measures. His so-called kung-fu kick is a dangerous abomination which has no place in football. 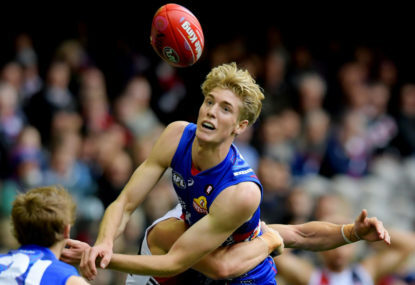 So, the starting field of eighteen has been whittled to eight: five teams from Victoria and three from the other (mainland) states. Bearing in mind that Victoria provides the majority shareholding, that feels as close as possible to proportional representation. The scourge of football’s on-field battle toll is now a matter crying out for serious treatment. It’s not good enough for the AFL’s annual injury survey to be released with a blithe: ‘Things are largely stable’. We’ve heard all that before. As long as there are days like last Saturday at the MCG, the indigenous game will continue to be high in the nation’s sporting consciousness. 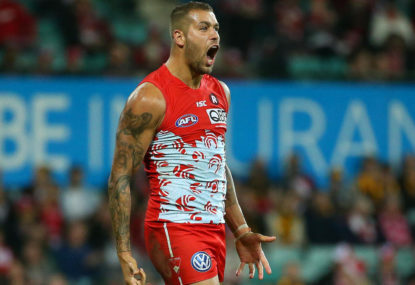 Are you from the old school which forever asserts modern footy’s gone soft? 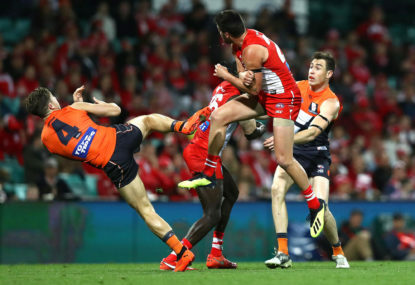 Do you feel infuriated at a game too quick to punish players for no more than old-fashioned hard-but-fair tackles? 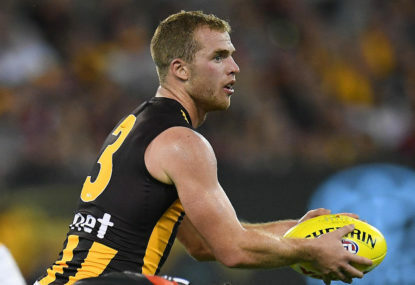 So, once again there’s no joy for Tasmania in its quest for AFL inclusion. 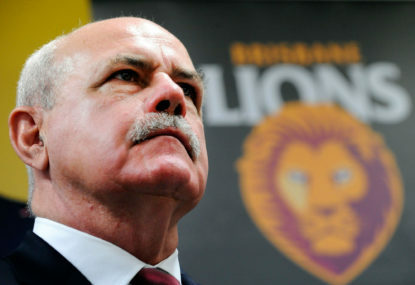 Not that Tuesday’s anti-climactic announcement in Hobart came as a surprise. 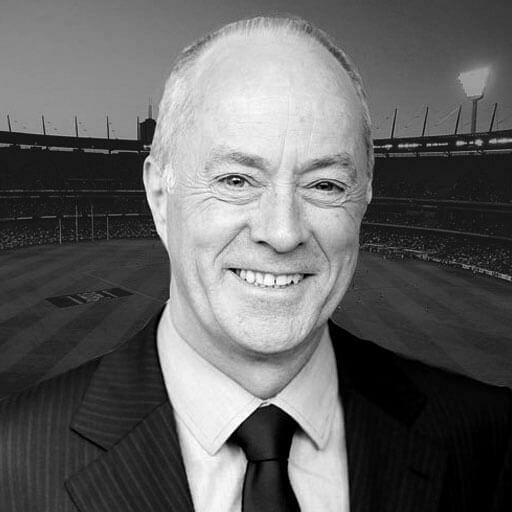 Given I was alive when Neil Roberts won the 1958 Brownlow Medal, it’s obvious that what follows is the work of a baby-boomer. Which is a nice way of saying getting on a bit, even if vigorously resisting the notion. 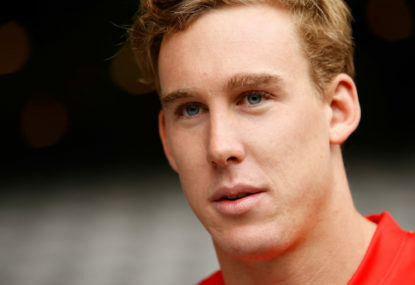 As Tom Lynch deliberates over his future with Gold Coast, an issue bigger than the towering forward himself has emerged. 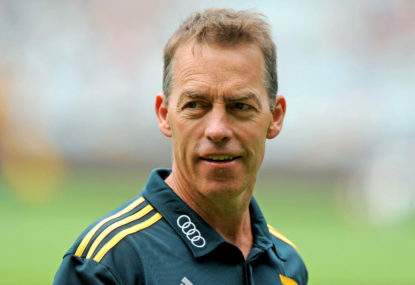 Ducks, drakes and Hawks: What's Alastair Clarkson's next move? 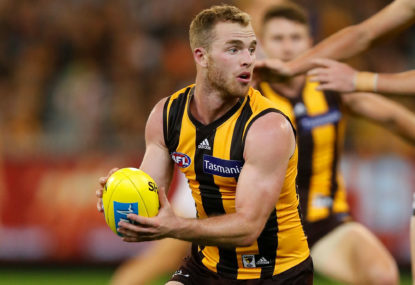 If Alastair Clarkson was asking himself hard questions after Hawthorn’s narrow, Round 8 loss to Sydney, last Sunday would have inflicted a particularly dark night of the soul. 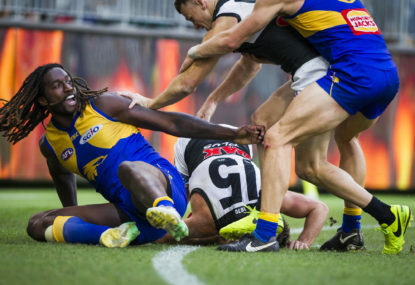 Of all the hysteria generated in an average AFL season, the white noise over Nic Naitanui’s one-week suspension is up there with the most nonsensical. So, now the season’s on in earnest! The battle between the ball-getter and tackler is on in earnest and the umpire is circling. Even before the whistle is blown, football’s loudest chorus: “Baaaaaalll!”, echoes through the stadium. We need to talk about Buddy. His opening game of the new season was late on Sunday, in faraway Perth, and since it finished Steve Smith and co. have monopolised the headlines. 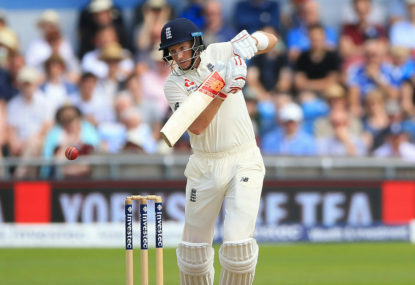 The worry for England – and the Ashes series – is the steepness of the tourists’ Gabba decline. Just as it did last year, the MCG will rock with greater-than-usual excitement on grand final day. 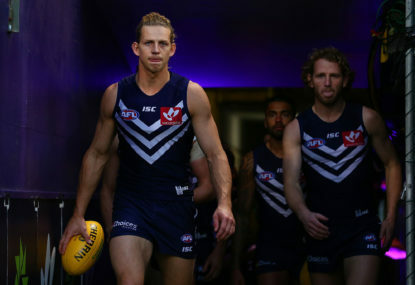 Once again, a success-starved Victorian team is the underdog against a powerful team from another state. It’s surely a heady time for Tiger supporters. 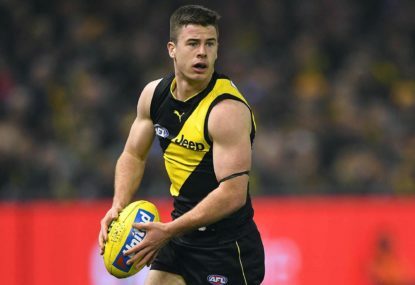 Even more so for the Richmond Football Club itself. Not only is the monkey off the back, but now the unthinkable appears possible. First, there’s an opponent to be determined. Then there’s a match to win on Saturday week. And then? 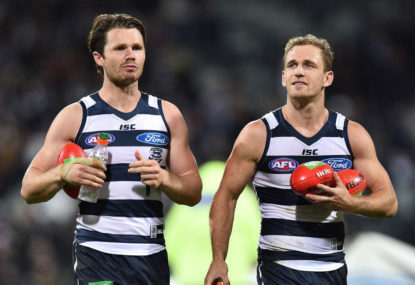 How much can we really learn from the AFL players survey? 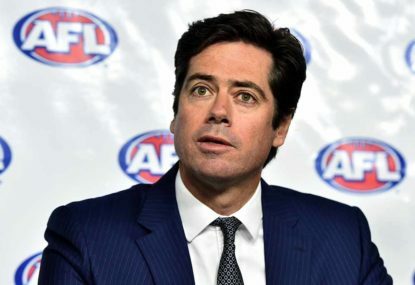 We’ve learnt via a press survey this week that AFL players are happy with the quality of game they’re currently playing and don’t see any need for radical rules changes to seek to improve it. Can it be a great season without a definitively great team? The final touches are about to be put on what some have described as one of the most even and interesting home-and-away seasons in years. What happens next? It’s one of those perennial, cute clichés that in many-a-season is dusted off at about this time. Usually, it’s employed as a Hawthorn-type, or maybe Sydney, begins to give the impression of smelling some early spring blossom in the air towards the end of a sluggish mid-winter.